The Pilgrims who came to America, contrary to popular believe, didn’t come her for religious freedom; they already had religious freedom in Holland. 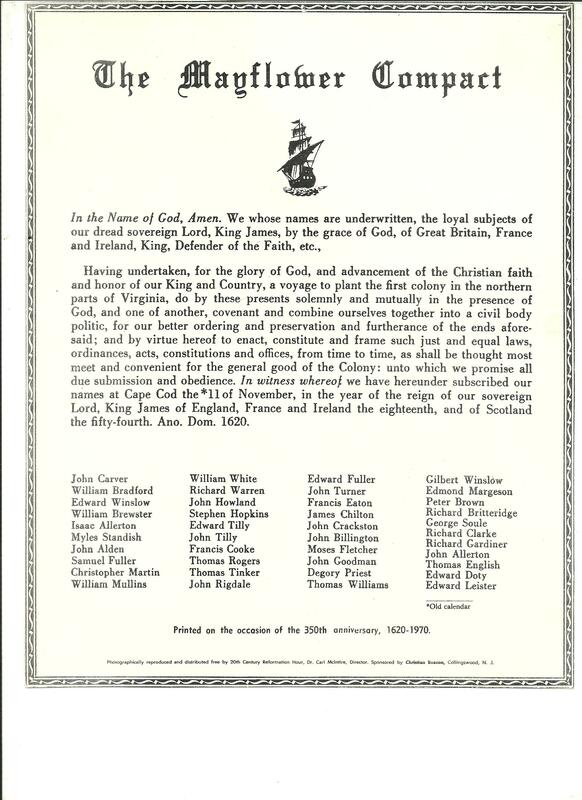 They spelled out one of the reasons for coming to America in the Mayflower Compact: “Having undertaken for the glory of God, and the advancement of the Christian faith…November 22 1620 (new calendar). Camp Constitution wishes all a Happy and Blessed Thanksgiving.